As Huddersfield Contemporary Music Festival enters its fifth decade everyone here at hcmf// wants to make sure that the festival is more inclusive than ever before, and that everyone has the opportunity to experience the diverse range of music on offer. With austerity unlikely to end anytime soon, many people are struggling to meet the essential costs of day to day life, and engaging with cultural events and activities can understandably be viewed as a luxury. This is why over 50% of the artistic programme at this year’s festival is free, including numerous world and U.K. premieres. So join us if you can – whether for one event or several – it will be our pleasure to welcome you to this 10 day celebration of the very best of new music from across the world. There are no bad choices to be had – but if a steer from hcmf// headquarters is helpful – then here we go ..
For those who are interested in cross-platform work then you might want to check out Scottish Amsterdam based composer Genevieve Murphy’s work for accordion duo TOEAC set within an intriguing installation in Bates Mill Photographic Studio. Think New York loft and Fluxus inspired! Or if punk, industrial noise, and minimal wave is more your thing, then head to the same venue to see Swedish sisters Nadine and Tanya Byrne aka The Ectoplasm Girls. 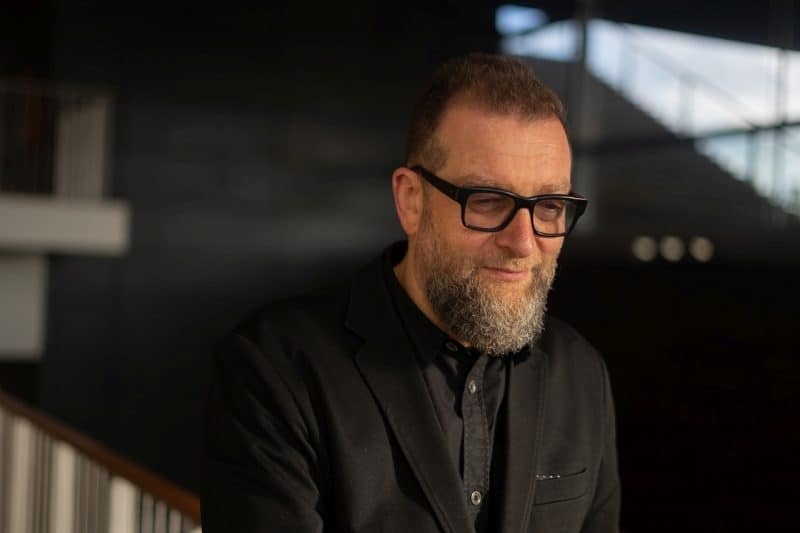 All talks at hcmf// are free – full details on the website – but the pick of the bunch might just be writer, musician, and composer David Toop in conversation with hcmf// composer in residence Christian Marclay. Arguably two of the most influential and articulate artistic voices of their generation, coming together in what promises to be a stimulating and thought provoking discussion. hcmf// shorts or ‘free Monday’ as it is commonly referred to, has fast established itself as one of the busiest and most keenly anticipated days of the entire festival. Your chance to experience an entire festival in a day, kicking off at 11am and running to midnight, 15 concerts, covering the full spectrum of genres, and all absolutely free! Whichever you choose – you can’t go wrong. Top picks for me is the latest creation from the ever inventive Claudia Molitor, this time around in a duo performance with trombonist Tullis Rennie, and guesting with them for this performance lo-fi improv specialist Kelly Jayne Jones. Decay is a meditation on seasons, ageing, and time. The world premiere is here in Huddersfield before going on a year-long journey. Each performance will feed into the next, with the final performance being a culmination of the entire tour, which returns to hcmf// for its final outing in 2019. For sheer musicality, you cannot get better than Heather Roche & Eva Zollner. Extended techniques and experimental works for clarinet & accordion, plus electronic trinkets! There are a plethora of free events for all the family as part of our Learning & Participation programme – full details on the website. I am particularly looking forward to Threads – a synthesis of sound, dance, and light, bringing to life the world of textiles and the long history of the industry in Yorkshire. The work tells the stories of the women and children who produced textiles in Yorkshire’s mills and factories. American improv vocalist Shelley Hirsch is a rare visitor to these shores but you can catch her in two concerts performing works by Christian Marclay. Manga Scroll based on Manga comics published in Japan but translated for the U.S. market, and now cut and collaged into a sixty-foot-long handscroll, and Zoom Zoom where Hirsch performs with Marclay. High on my list of concerts I am looking forward to is the world premiere of Supriya Nagarajan’s Pleiades ne Maia. Middle Eastern phrases intermingle with Bhuddist Zen, while a traditional church anthem sits at the core forming an effortless bridge between cultures. The live broadcast on BBC Radio 3’s flagship contemporary music programme Hear & Now is always a ‘not to be missed’ event. Iconic works from black American composers sit alongside a very personal performance from flautist Camilla Hoitenga, featuring two pieces from AMOUR which the great German composer Stockhausen dedicated to her. Be part of the audience for this very special occasion.